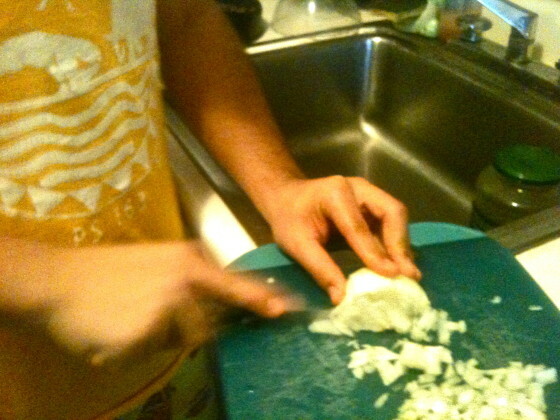 Welcome back to “The Kid Stays in the Kitchen.” Each week throughout the semester, a student is assigned to cook a traditional dish with a friend or family member and document the experience in photos and words. Our school was named the most diverse school in New York City and this seemed like a great way to show for it. 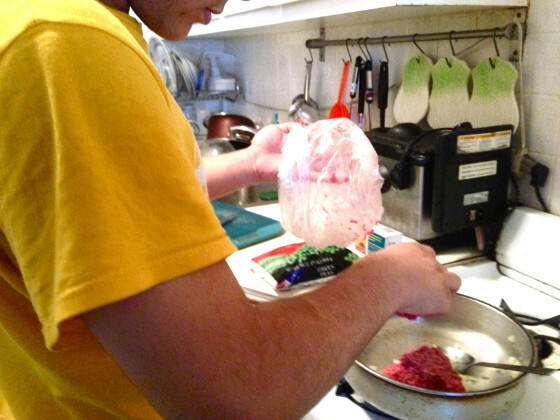 This week features Mohammed who prepares a dish from his Egyptian heritage. “This dish in Arabic is called “Gul-lash” or in English “Meat pie.” This is a dish from the country where my parents were born and lived most of their lives: Egypt. Usually the dish is eaten during big celebrations or parties because it is very simple to make enough to feed a lot of people. The dish layers beef, chicken or pastrami between sheets of phyllo dough with cheese and peas. 1. 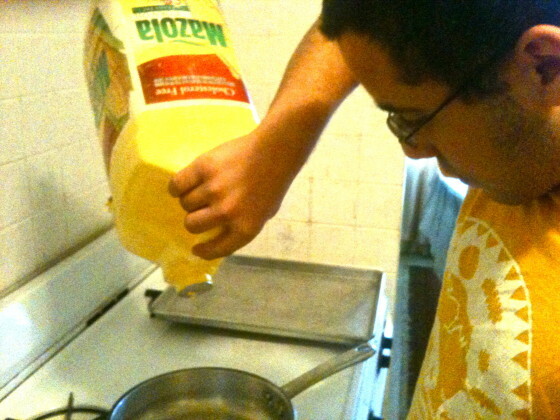 Add corn oil to pan. 3. 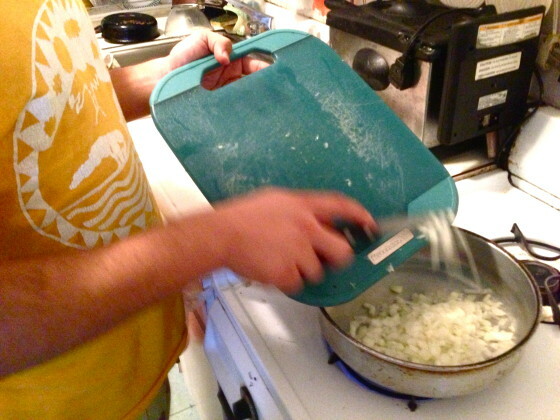 Add the onions to the pan with the corn oil. 4. 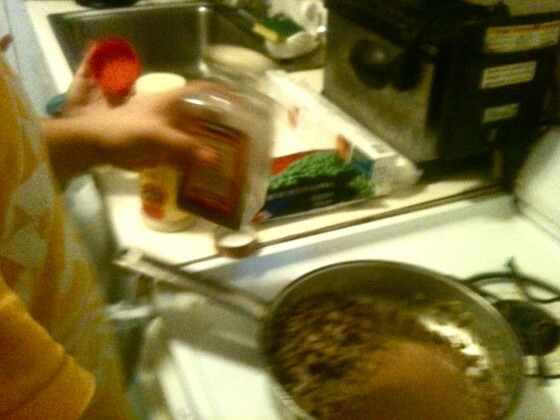 Mix over medium high heat for a minute then add the ground meat. 5. 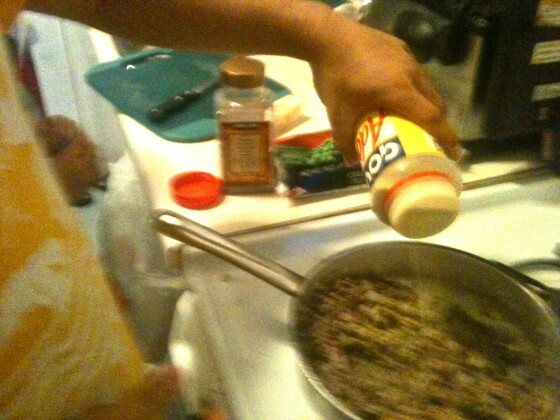 Cook the ground meat until it becomes well done. Then add the black pepper, adobo and coriander seeds. 6. 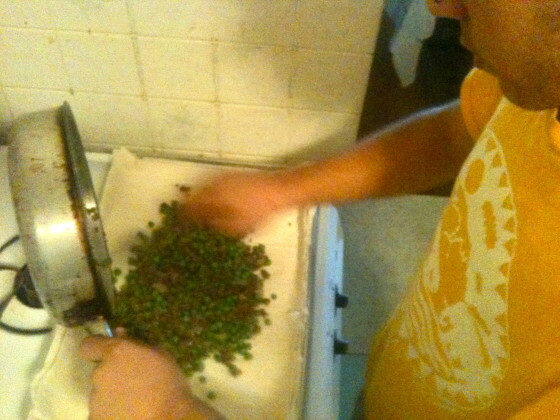 After the ground meat becomes well done add the peas and mix it for a minute. Turn off the heat. 7. Put your butter in a different pan and melt it. 8. 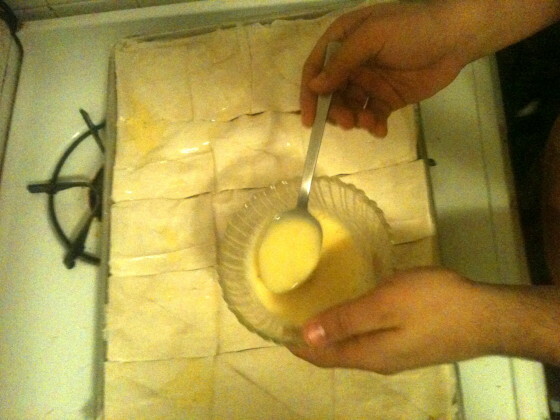 With a pastry brush, brush the bottom of a tray with butter and add two sheets of phyllo pastry. 9. Brush butter over the sheets. 10. 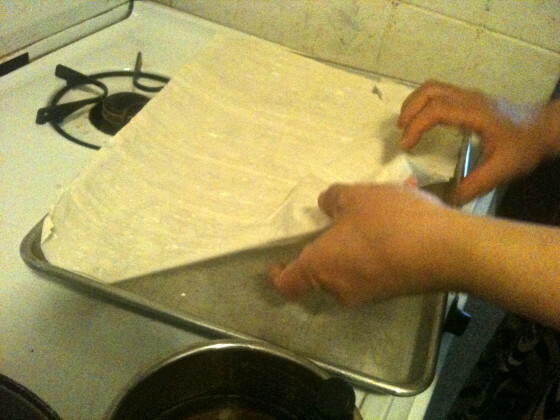 Continue adding two sheets at a time and brush the butter on top of each layer until you use half of the phyllo pastry sheets. 11. 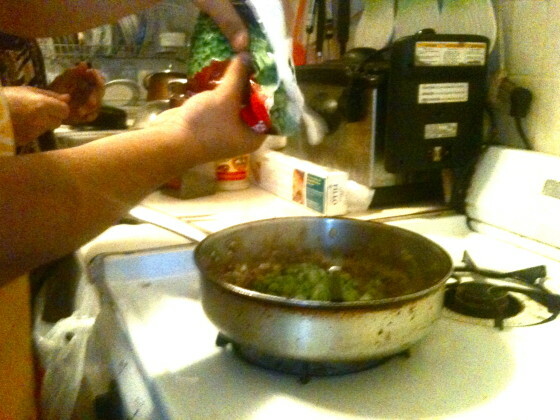 Add the ground meat, peas and spread. 12. 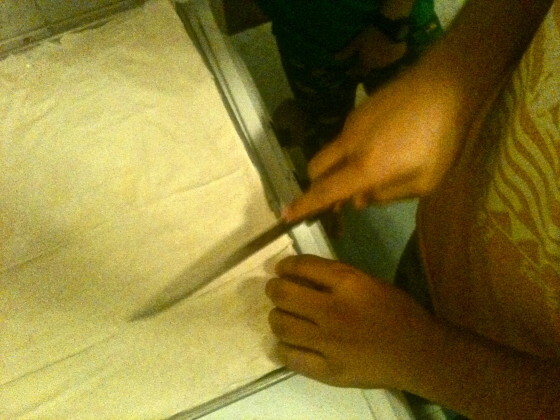 Now continue adding two sheets and putting butter between each pair of sheets. 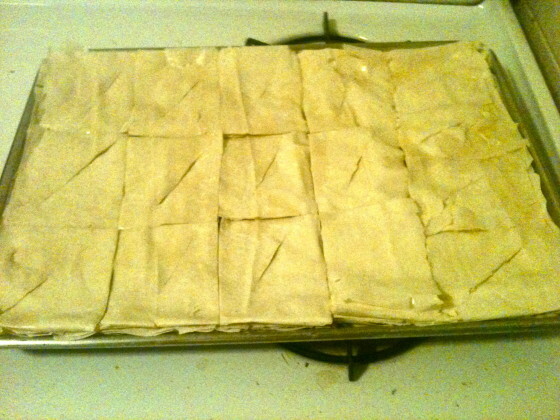 After putting the last two sheets add the butter on top. 13. 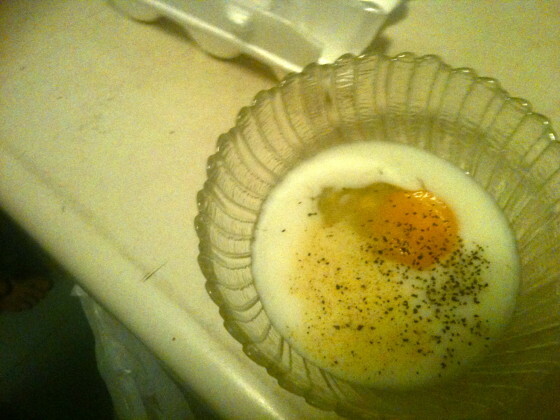 Get a small bowl and crack an egg into it and add the milk, a pinch of crushed black pepper and adobo. 14. 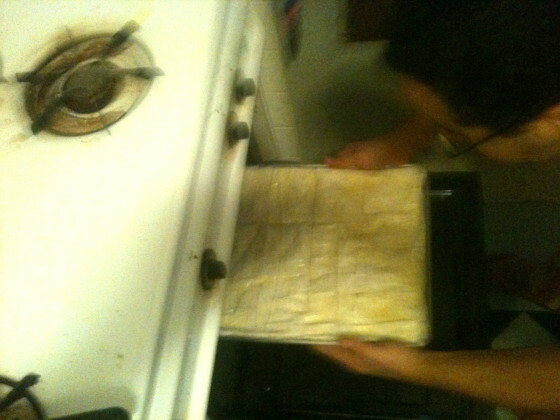 Cut the pie into squares each about 4×4 inches. 15. Add the egg and milk mixture on top of everything and in between the small lines in the squares. 16. Leave it in the oven from 30 – 45 minutes on 350 degrees or until it becomes a golden color and take it out. 17. 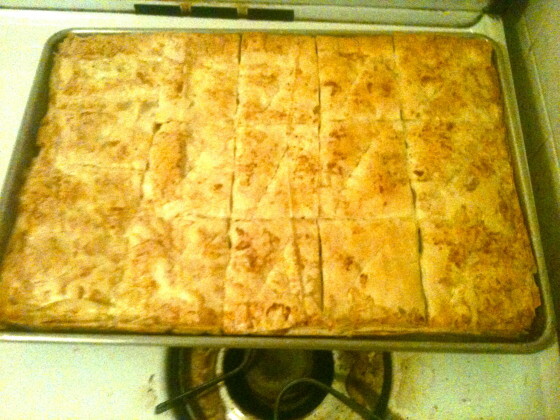 Cut the squares fully and eat!